We at the Berlin Forum on Global Politics are committed to open knowledge, contributing to the debate on subjects related to global politics with Creative Commons-licensed materials – so that these are freely and easily accessible to everybody, everywhere, and anytime. For that reason we are glad to announce the latest feature of our website: the blog section. Events in global politics are in constant flux and blog posts offer the opportunity to address and analyze them in a timely and dynamic manner. 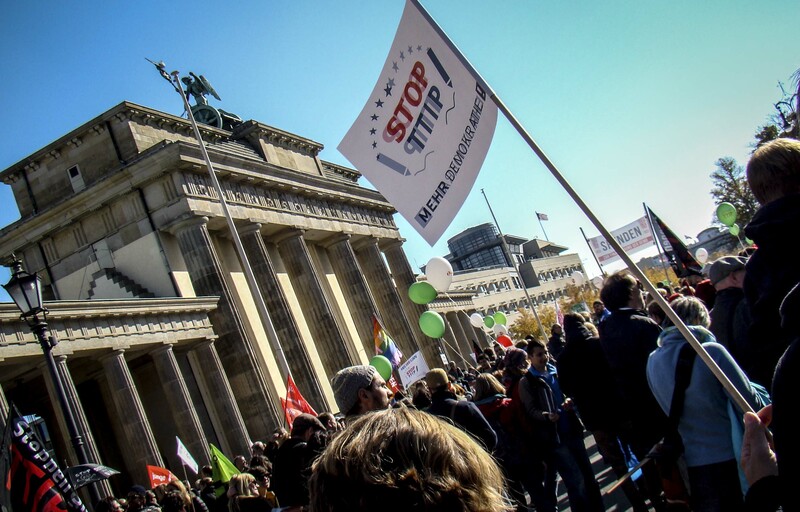 Miguelángel Verde Garrido, one of our co-founders, kicks-off the blog with a post on why the recent TTIP demonstration in Berlin was the largest in the country in more than a decade. We hope that you find these contributions valuable. Do feel free to share them, along with our publications and working paper series, with your networks, since they are also licensed as Creative Commons. Lastly, be sure to follow us on Facebook, LinkedIn or Twitter to stay up-to-date with the latest blog posts or with other news!